Situated in Mandelieu town centre 50 metres from the Congress and Exhibition Centre and 5 minutes away from the beaches, 10 minutes from the Palais des Festivals de Cannes and 15 minutes from Grasse and its famous perfumeries. Marineland theme park is just 20 minutes away. 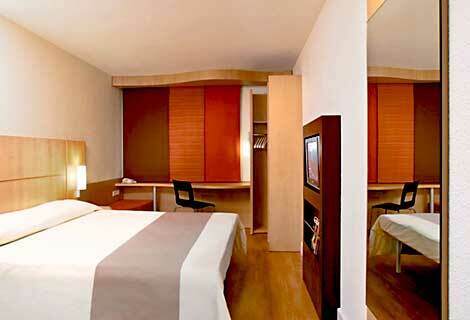 We have 96 modern, quiet, sound-proofed and air-conditioned rooms. Bar open 24 hours a day and In-case package available. Free wifi access throughout the hotel and if you have not brought your computer, you can log on in the lobby Webcorner. Delicious meals throughout the morning from 4 am to 12 pm. 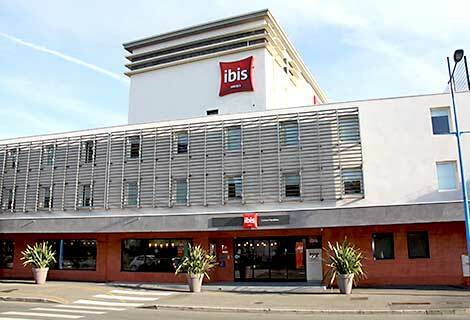 From 6.30 am to 10 am, the great Ibis buffet – delicious, great variety and generous helpings. From 4 am to 6.30 am and from 10 am to 12 pm, classic breakfast favourites with our ‘early riser/late riser’ service. Free video-monitored car park next to the hotel. 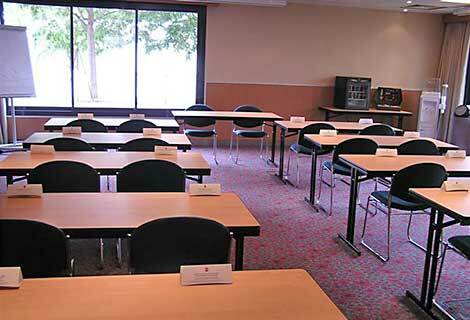 All our rooms have full natural daylight and are equipped with flipcharts and video projector. We also offer welcome coffee and gourmet breaks. Three 35m² units whose partitions can be removed to accommodate up to 80 people in a theatre layout.